There's no word other than "AMAZING" to describe the M/V Aria- the newest ship of Aqua Expeditions. 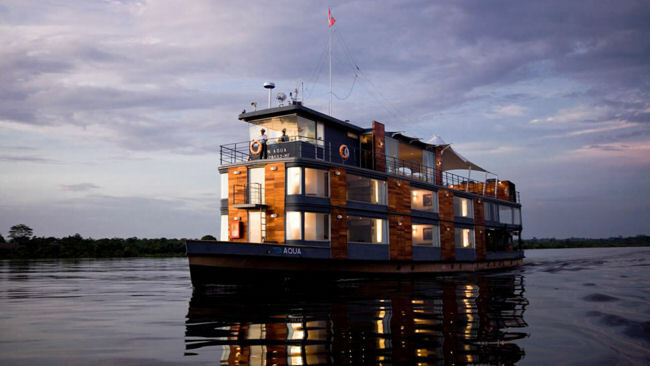 Aria is a luxury vessel that cruises the Peruvian Amazon. The ultimate river boat has a very modern and streamlined design and much of the exotic wood you'll find on-board comes from a sustainable forest. There are 16 suites with floor-to-ceiling glass windows so you can see all of the safari-tour from the comforts of your room. 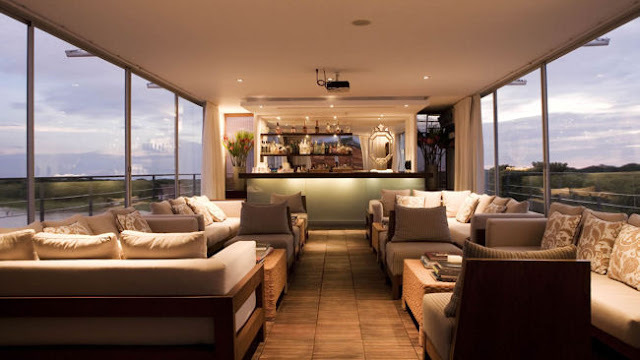 The sister ship is called the M/V Aqua which also cruises remote parts of the Amazon River.You can choose from three-, four-, and seven night itineraries that start from $2,550 per person. 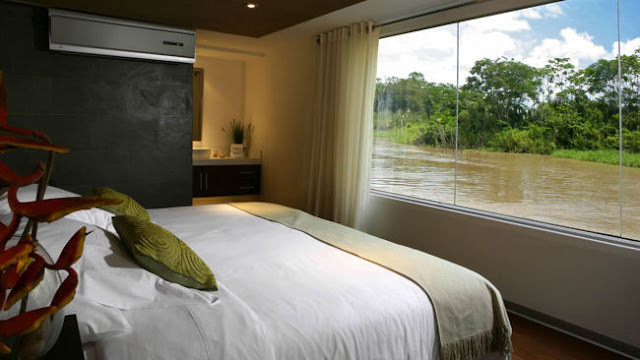 It's not cheap, but if you want to splurge (perhaps for your honeymoon or anniversary), this is the way to jet set around the Peruvian Amazon!